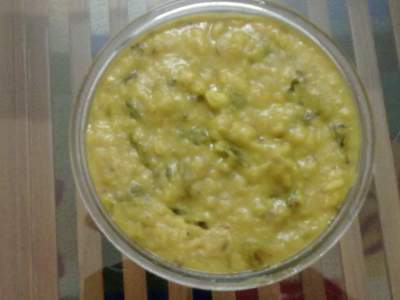 Dal is famous and most widely eaten food in Indian homes.Tadka is hindi word for Tempering. There are only two steps for cooking Dal-Tadka.First make Dal and then Temper it with Masalas. 1)Wash Dal well.Add some water. 3)Take Ghee/Butter and fry in different pot.Add Hing (Asafoetida),Jeera,Onion. 3)Sauté till onion changes color. 4)Add salt,turmeric(Haldi),cayenne pepper(Lal Mirchi),Green Chili(Hari Mirchi),ginger(Adarak),garlic(lassun),coriander(Hara Dhania). 5)Mix this bhagar in to Dal.